I had a front seat to it all. 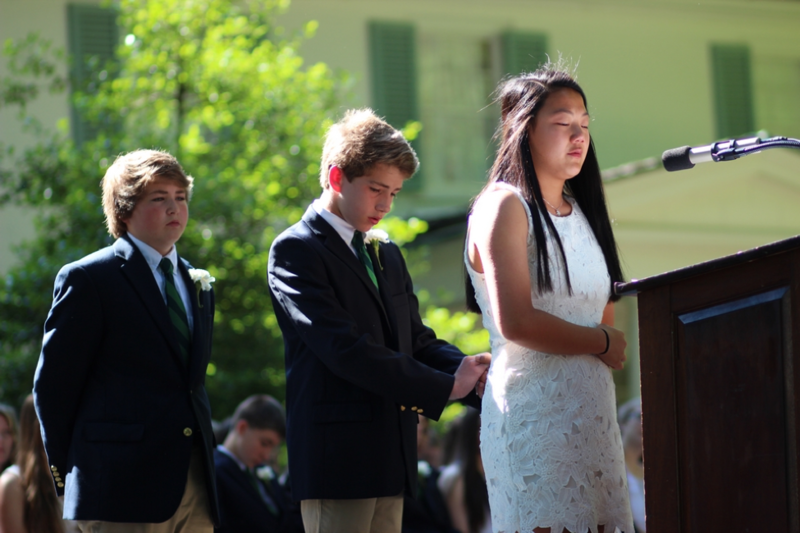 On graduation day on the dais behind the podium, I experienced one of my proudest moments as a Head of School. The events that unfolded before my eyes were captured in the above photograph by Jo-Ellen Fischbach. That was an absolutely beautiful and inspiring tribute to this school coming from the graduating students. I have a granddaughter entering the Pre-K classes here. This story ensures she will be in good hands among faculty and students. A wonderful read, I felt as though I was there. TLS will always have a special place in my heart!